Ever since I was a young boy, and had the Deadpool action figure, that came with two swords, two guns, and a mask you could remove to see his burnt, hamburger face, I’ve been a fanboy of Wade Wilson, aka DEADPOOL. Not only did he have a healing factor like Wolverine, he also had swords and guns, and looked like a ninja, in red & black. Possibly the most popular anti-hero in the world (arguably next to Spawn), Fox did a great job with this production. 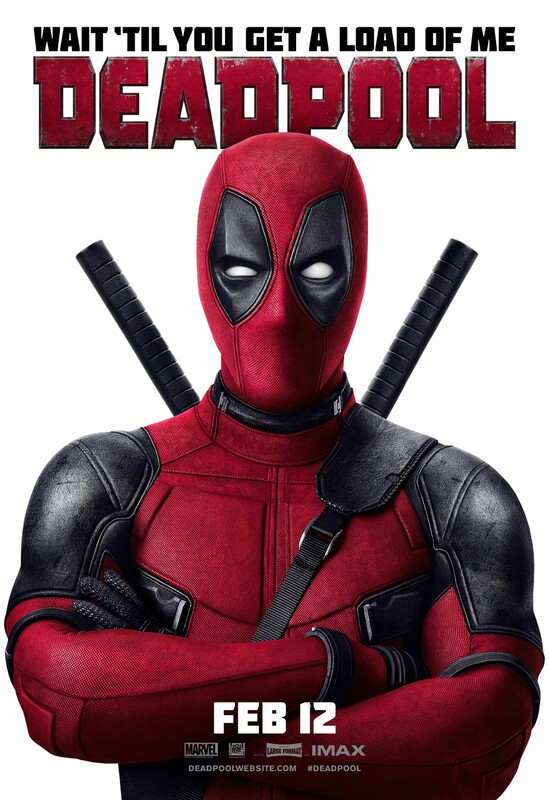 “Deadpool” held true to the character, story, and the fan base that has made him and this film a box-office SMASH! Ryan Reynolds was born to play the “Merc with the Mouth,” both being Canadian, and both being wise-cracking dissenters. Being that it was the biggest R-Rated movie debut in history, other superhero studios may attempt to shed it’s family-friendly, pg-13 rating, for more adult-friendly themes, similar to “Kickass”. Word is, Hugh Jackman’s last take as Wolverine will enter the ‘R’ territory… happy slicin’. Deadpool was damn near perfect; a perfect mix of comedy, action, and “romance”, while properly building the plot without any wasted scenes. It’s a film that’s definitely worth a second or third trip to the movies. Out of 5 Stars, I got 5 on it.